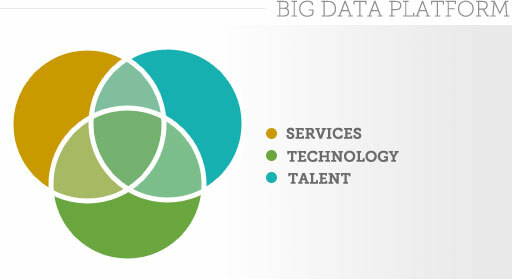 Big data platforms represent a mix of talent, technology, and services that allow for effective management of large, multistructured data. Big data solutions enable a range of business intelligence and analytic applications to support tactical, operational, and strategic decision-making processes across the organization. Solutions can include technologies such as relational databases, Hadoop, NoSQL databases, streaming data monitoring, analytics and BI software, and analytic applications, among others. Because big data solutions have so many aspects, organizations often don’t know how efficient or effective they are in utilizing their data, technology, and staff. That’s why IDC has developed a 5-minute survey to help assess your competency with big data — and take your solution to the next level. 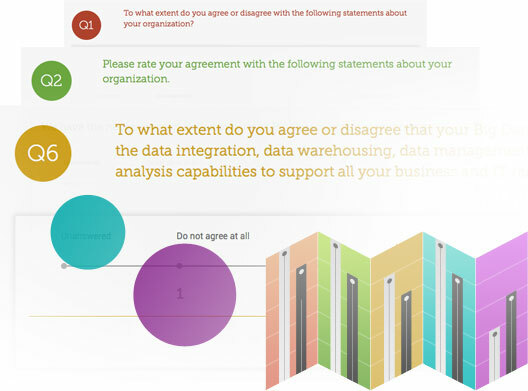 The brief survey will ask you questions related to your organization’s big data challenges and capabilities. Answers will be compiled against a baseline of other organizations assessed by IDC, ranking your organization in one of 5 categories of maturity — Novice, Beginner, Competent, Proficient, or Expert. After you complete the survey, you will have the opportunity to generate and view a custom report that will include recommendations for improving your big data strategy. Ready to get started? Log in or register.